Text "Equestrian" to 888777 to opt into weather alerts and important news. Welcome Athletes, Heads of Delegations, Coaches, and spectators. It is our pleasure to welcome your delegation to the Special Olympics Texas Summer Games. On behalf of Special Olympics Texas staff and the Games Organizing Committee, we extend our sincerest thanks to the many volunteers and sponsors who have made this event possible. Without their support, our Special Olympics Texas athletes would not have the opportunity to demonstrate their skills and abilities. Most importantly we would like to take this opportunity to thank each of you. Without the passion, commitment and dedication you provide to supporting the mission of Special Olympics Texas, our athletes would not be given this opportunity. Thank you for helping our athletes to share their joy and abilities with their friends, family, and the community. We look forward to seeing you at the Equestrian Competition! This handbook provides useful information about the 2018 Equestrian Competition. Take time to review this entire guide thoroughly before you leave for in Bryan. If you have any questions or problems, immediately contact the Chapter Headquarters at 512.491.2934, rather than waiting until registration. Printed copies of this guide will NOT be available at registration. It is highly recommended that you print your own copy prior to leaving for Bryan. For continued updates about Equestrian and Special Olympics Texas, follow us on your computer or mobile device. Text "Equestrian" to 888777 for weather alerts and important news. Reserve your hotel rooms by going to www.sotx.org/equestrian and click on the “Find a Hotel” button located at the bottom of the Equestrian homepage. 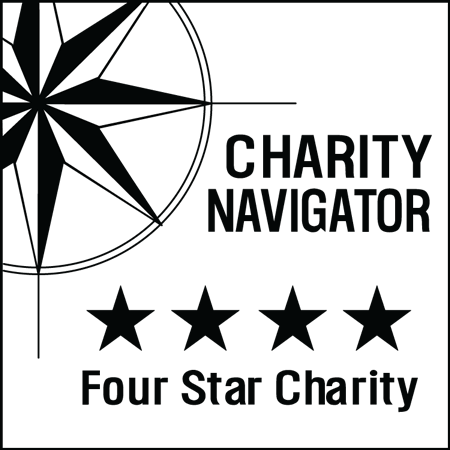 This will take you to Hotels for Hope website with discounted hotel options. Every delegation volunteer must go through the volunteer registration process before arriving at the Games. That means every head of delegation, coach, chaperone, coaching staff member, bus driver, and Unified Sports® partner must have a current signed Class A Form on file in the chapter office, and must have completed General Orientation and Protective Behaviors. Every competing Unified Sports® partner must also have a current, signed Unified Sports® Partner Form on file in the chapter office, along with the current required Class A requirement completed. Make sure that the participants have their personal items clearly marked. Please be aware that athletes must wear the appropriate footwear and uniform/clothing as allowed by the National Governing Body, Special Olympics Summer Sports Rules and the Special Olympics Texas Information Guide. This will enable your athletes to compete to the fullest extent possible. Competitors who violate this rule will be disqualified. HODs are responsible for entries and their involvement is required during the entries process. The entries processing schedule for Summer Games can be found under the Coaches tab of the Equestrian page at www.sotx.org/equestrian. Final delegation reports are posted online on May 4. HoDs must review and correct any issues between April 9 when correct reports are listed and April 16, when corrections are due. Take the time before leaving for College Station to check the online delegation reports. Only those athletes and delegation personnel who appear on these reports are registered. Athletes will only be allowed to compete in those events that appear next to their names. There are NO “walk-ups” during the meet. Only those individuals whose names appear on these reports will be allowed to participate in the events. Athletes and support personnel (officially registered with the delegation) will be issued I.D. wristbands (credentials). Athlete wristbands (credentials) will include the athlete’s name and team. They will also include specific event information - event, heat number and lane (if applicable). These must be worn continuously throughout the Games. In the event that replacement credentials are needed during the Games, these may be obtained from an SOTX staff member at any of the venues. Athletes, coaches and official delegates must report to the SOTX staff member at that venue when a credential is lost or misplaced. SOTX staff will only issue a replacement for these credentials after they have verified athlete information. Wristbands, which contain important and useful event information, will be provided for each athlete. Please review the following example and contact the Chapter Headquarters at 512.491.2943 if you have any questions. The letter indicates gender (‘M’=male or ‘F’=female). The first number gives the athlete’s age group. The last number provides the athlete’s heat within this age group. For example, Heat # M.30-99.01 indicates a male athlete in the 30-99 year old age group competing in the first heat. The head of delegation is the individual directly responsible for the coordination and management of the athletes and coaches from their delegation. He/she is primarily responsible for ensuring that athletes and other coaches are at the competition sites and events, properly equipped and trained for that event. Any problems related to a given athlete during sports activities will be addressed to the head of delegation or other coaches under his/her responsibility. A head of delegation can only compete as a Unified Partner® within his/her own delegation. Provide for the general welfare, safety, health and well-being and conduct of each athlete under his/her direct supervision. Abide by the clauses and spirit of the rules and conduct oneself in a sportsmanlike manner at all times. Be knowledgeable about all existing Special Olympics Texas, Special Olympics, Inc., National and International Governing Body competition rules and regulations applicable to their sport and prepare their athletes for competition in accordance with those rules. Ensure that athletes compete in events within their sport that challenge their potential and are appropriate to their ability level. Be honest and instruct athletes to compete with maximum effort in all competition, in accordance with Special Olympics divisioning rules. Responsible for ensuring the entry scores and scores achieved during divisioning accurately reflect the ability of their athletes. Must treat athletes, volunteers and competition officials with respect and communicate in a courteous manner. Report all emergencies to the appropriate authorities after taking immediate action to ensure the health and safety of participants. Must have copies of athlete medical information at all times. Attend all coaches' meetings as scheduled. Follow the standards outlined in the Coaches Code of Conduct. Provide supervision 24 hours a day, in cooperation with other coaches in their delegation. Ensure that athletes are properly hydrated and prepared for the weather. Account for luggage and personal items at all times. Ensure athletes are properly attired. Report to competition staging areas at the proper times. Take full advantage of clinics and other special events. Knowledge of the medical history of all athletes under your supervision, and assurance that prescribed medications are taken at the appropriate times. Maximize the benefits achieved through participation. Be assembled at the proper time and place for special events. A certified head coach must be on-site at each sports venue. Each sport will have a rules committee identified prior to the start of competition on Friday. This group will address on-site protests and rules interpretations as needed. Volunteers are once again providing technology support for the Summer Games. The cornerstone of the support is the GMS6 software. The system stores information about individual athletes and delegations, events that the athletes are participating in and their results. As events take place, scoring information is entered into the system. Information provided by GMS6 system will be available for coaches, spectators, participants and family members at the information tent located on the south end of UTA Maverick Stadium. The information is updated at regular intervals. Results information will, in most cases, not be available at the individual venues. Equestrian competition will take place at the Brazos County Expo Complex in Bryan. Schooling in the arena will begin at 12:00 p.m. on Friday, May 18, 2018, and the early morning hours of Saturday, May 19, 2018 and Sunday, May 20, 2018. Opening Ceremonies at equestrian will begin at 8:15 a.m. on Saturday, May 19, 2018. Overnight stabling is available beginning Friday, May 18, 2018. Stalls will be assigned when you arrive. Stall reservations and requests should be faxed to Suzanne Anderson at 512.835.7756 by April 17. Additional shavings will be available for purchase through the Brazos County Expo Complex. A current original Negative Coggins Test is required (by law) for all horses to enter the grounds. You must have proof with you at the gate upon arrival. Equestrian athletes can enter up to five events. Refer to the Official Summer Sports Rule Book and the SOTX Information Guide for specific rules on equestrian competition. Horses will be limited to compete in no more than 6 classes per day. Just as the welfare of the athletes is a top priority, so should be the care of the partner horse. This limit will ensure the horses receive proper rest and are not overused. The CI Western Riding pattern will be a B-level pattern, but walk only. Riders must use a Western saddle. The Team Relay event will be offered for supported riders only: levels CSP, CS, CI, BSP, BS and Unified Supported. The Relay will be a weaving pattern of 3 cones, poles or barrels, each 25 feet apart, down and back. A Team Relay must have 2-4 riders from the same team. The Team Relay may consist of CSP-CS or BSP-BS, mixing of C and B level is not allowed. CI's must compete as a CI team. Limiting the event to supported riders and making it a weaving pattern event will create an event that is similar and progressive to the speed events (barrels, poles and figure 8) in which the BI and A level riders currently have the opportunity to compete. Competition times and schedules will be posted at www.sotx.org/equestrian on May 4, 2018. A tentative schedule is posted at www.sotx.org/equestrian. A final schedule will be available at the coaches' meeting on Friday, May 18, 2018. Working Trail for those who also competed in Team Relays and CI riders that competed in Western Riding. 6:15 a.m. - 7:30 a.m. Working Trail: CSP, CS, CI, BSP, BS (for those who did not compete in Team Relays. Equestrian awards will be held at the Brazos County Expo Complex. Delegations will be asked to RSVP to this event. By RSVPing you are committing to attend. Arrangements are being made based on the RSVP numbers which impacts those supporting this event. During Chapter Games Registration on Thursday, May 24, 2018, HoDs are able to pay and pick up bulk orders of the 2018 Equestrian logo shirts in which they pre-ordered. A form will be available online at www.sotx.org/equestrian. Fill out this form by May 1 and send it to Lesa Cantrell at lcantrell@sotx.org. Lost athletes should be escorted to the security volunteer or the medical area at each sports venue. Athletes lost on campus during the evening hours should be escorted to the Command Center. All lost items should be turned in to the Office (or to the registration/tournament desk if not near the stadium). If identification is available, an attempt will be made to notify the owner. People who wish to claim a lost item should report to the Office. All items found will be centralized at the Office (regardless of where they were found). We ask that all athletes and coaches be in by 11:00 p.m. Coaches must not leave athletes without appropriate adult supervision. Coaches are responsible for the conduct and supervision of their athletes at all times. All coaches are expected to devote 100% of their time to supervising their athletes. Any athlete found unsupervised or involved in disruptive behavior might be disqualified from the Games. Also, the coach of that team may be suspended from all SOTX events for a period of up to one year. Furthermore, the administrators of the sponsoring agency or school will be notified in writing of the inappropriate conduct of the coaches and athletes. Supervision of the athletes is the key to a safe and enjoyable experience. First aid stations will be in operation at all competition and special event sites. Treatment provided at these stations will consist of American Red Cross first aid procedures. NO MEDICATION WILL BE DISPENSED. Any athlete or coach who requires medical attention should be taken immediately to one of the first aid stations. From this point, the medical support staff will administer appropriate first aid and, if necessary, make arrangements for emergency examination, treatment and/or hospitalization. An EMS unit will be on call during the Games. Do not take an athlete or coach directly to a hospital or seek medical treatment before going to one of the above-mentioned first aid stations. Please keep our medical support staff informed of any problems, since they are the most fully prepared to handle them. Several medical professionals will provide medical support for the Equestrian. On-site personnel will be available to provide ambulance transportation at the stadium. Medications - Each athlete or delegation member should have a complete supply of medications and a schedule indicating exact dosage. Should a delegation member require treatment, the medical staff must have accurate information so that proper treatment may be provided. Personal Health Items - All participants should use sunscreen! Individuals with blonde or red hair or sensitive skin should use a sunscreen with a high SPF factor. Everyone burns regardless of skin pigmentation. Diet - A balanced diet is essential to the athletes' performance at the Games. The diet should contain extra carbohydrates (in the form of starches), fresh fruit and vegetables whenever possible. Athletes and members of the delegations should be discouraged from eating greasy, fried or fatty foods. Athletes should not drink soft drinks for breakfast or lunch, and should limit their intake at dinner. Clothing - Athletes should have light colored, loose fitting clothing to wear at the Games. It is also important for each athlete to bring a billed cap or visor. These items will help the athletes to stay cool. Liquids - Each athlete should drink extra fluids with meals and at regular intervals at the sports venues. Athletes and members of the delegations should always drink plenty of water. Medic Alert Tags - Athletes who have diabetes, epilepsy (seizures), or allergic reactions to medication should wear Medic Alert tags at all times. Muscle Cramps - These cramps usually involve the arm, leg or abdominal muscles. Generally, the cramps begin within two hours of vigorous exercise, and often occur during the "cool down" period. An athlete experiencing muscle cramps should be taken to the nearest first aid station for care. Treatment for muscle cramps consists of fluid replacement with water or a weak salt solution. An athlete who is treated for muscle cramps should have extra rest and plenty of fluids. Epileptic Seizures or Convulsions - Most epileptic seizures last two to four minutes. First aid for seizures or convulsions consists of gently protecting the victim from injuring himself and gently turning the victim's head to the side so that saliva or vomit drains from the victim's mouth. It is important not to force anything into the victim's mouth, not to leave the victim alone, and to call the nearest first aid station or hotel security. Sunburn - Serious sunburns can result from constant exposure to the sun during the three days of the Games. Protect the athletes and yourselves. Even on cloudy days, burning rays can cause damage to a person's skin. Use a sunscreen with a minimum of SPF 15. The higher the SPF, the greater the block it provides. Heat Exhaustion - This condition is a more serious heat-related illness than muscle cramps, and is characterized by physical weakness, light-headedness, confusion, nausea, and cramping. Also, body temperature is usually normal or slightly elevated. Any athlete who has been exposed to heat and "just doesn't feel well" may be suffering from heat exhaustion. Treatment of heat exhaustion consists of moving the athlete to a cool environment, allowing the athlete extra rest, and providing fluid replacement. Heat Stroke - Heat stroke is caused by the body's inability to dispense of heat properly under existing environmental conditions. This condition causes an athlete's body temperature to rise quickly to intolerable levels (106°F). Symptoms of heat stroke are similar to those of heat exhaustion and may include delirium, coma and seizure activity. A victim of heat stroke ceases to sweat and develops "goose flesh." Treatment for heat stroke consists of rapid cooling in an ice bath and immediate hospitalization. The Medical Committee feels coaches should be aware that the following predisposing factors will make heat related illness more likely to occur. Illnesses - The conditions which make a person more susceptible to heat illness include: diabetes, heart disease, high blood pressure, and thyroid gland diseases. Medications - Medications which make a person less tolerant of the heat are tranquilizers, anti-depressants, diuretics, sedatives and thyroid drugs. Age - Young children and elderly people are more prone to heat illnesses than teenagers and middle aged people. We cannot over-emphasize the importance of consumption of water during the Games. Water - not a soft drink - is an essential component of every practice session and meet. In the past, there have been cases of heat exhaustion which are directly related to insufficient liquids. Coaches are encouraged to bring thermos jugs or canteens so that everyone has water at all times. There will be water tanks available to refill your containers. Please take advantage of this service. Due to variable high humidity and temperatures in the 90's and above, consumption of water before and during the Games is the only way to maintain good health. Disciplinary measures will be taken against coaches who jeopardize the health and safety of their athletes by depriving them of water during Games. A number of teams participate in recreational swimming at motel pools during the Games. All Special Olympics aquatics training, competition and recreational sessions shall be conducted in accordance with basic safety practices as specified in the SOTX Information Guide. This policy specifies that in all swimming activities, there must be a certified lifeguard on duty while athletes are in the water. This policy is in effect at any time that an athlete is in a pool for training and competition, as well as for recreational aquatic activities (time spent after competition back at the hotel pool). Each delegation must review, sign and turn in the Recreational Aquatics Form prior to or at registration. SOTX and SOI are interested in identifying the causes of injuries and accidents so that preventative actions may be taken to reduce or eliminate potential dangers. Part of this process is the reporting of all injuries or potential injuries on the incident report forms. An incident report form (Special Olympics First Report of Accident/Incident) must be completed in its entirety for each occurrence of a physical accident or incident that may result in injury to an athlete, coach, volunteer, spectator or physical property damage. 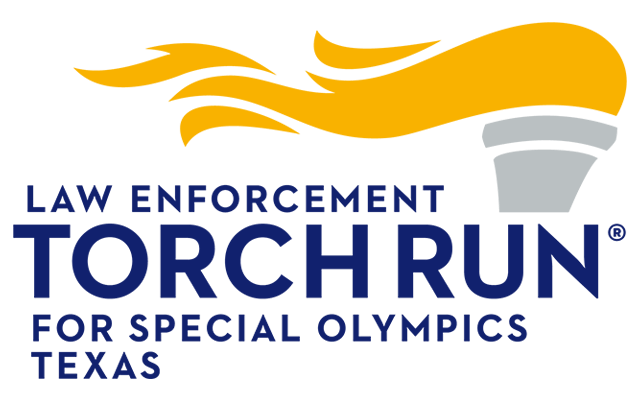 The incident report form is available from the area director or responsible SOTX staff person at all Special Olympics Texas functions, competitions or training activities. The incident report form must be reviewed and signed by a SOTX staff person verifying that the incident occurred as reported. The form is submitted to the area office, faxed to the SOTX insurance carrier and faxed to the chapter risk insurance manager, Kathy McClain, at 512.835.7756. She can be reached by phone at 512.491.2933. The incident report form must be completed even if no medical treatment is required. If the incident results in an injury and medical costs are incurred, a Special Olympics claim form will be forwarded by the insurance company directly to the injured party. Claim forms will not be accepted by the insurance company without a completed incident report. If the incident involves a vehicle that is being used on official SOTX business, then the Special Olympics Automobile Loss Report is also required to be completed in its entirety. Special Olympics provides secondary insurance coverage in the event of accidental injury that necessitates medical attention during a Special Olympics event. Persons insured under the policy are all members of Special Olympics, Inc. and Special Olympics programs, collectively and independently, including participants, officials, coaches, chaperones, supervisors and other volunteers whose names are on file with the policy holder. Special Olympics coverage is secondary, meaning that claims are only considered after payment by any other insurance coverage. The athlete, coach, volunteer, spectator or damaged property owner must first submit all medical bills to their own accident insurance company. If unpaid balances remain after processing by the primary insurance company, a claim may be submitted through Special Olympics insurance. If the injured party does not have any other insurance coverage, the claim initially may be submitted to Special Olympics insurance. If, on account of injuries suffered while participating in a Special Olympics event and within 60 days from the date of the accident, the insured shall require medical or surgical treatment, including hospitalization and the services of registered nurses or licensed nurses, but excluding dental care, the insurance company will pay the actual costs thereof in excess of the deductible amount (if any), but not more than the stated maximum medical indemnity, $10,000, incurred within one year from the date of the first such treatment. Coverage is provided for fainting, heat stroke and exhaustion, and any accident where epilepsy or a seizure may be a contributing factor. Coverage is also provided for ambulance service. No medical indemnity shall be payable on account of expenses incurred for eyeglasses, including prescriptions thereof. With respect to dental care, the insurance company will pay the actual cost in excess of the deductible amount (if any), but not more than $10,000, incurred within one year from the date of accident for dental care required on account of injury to or loss of natural teeth resulting from such injuries, including replacement of such teeth, but excluding dental x-rays, provided the aggregate payment of medical, surgical and dental treatment required on account of all injuries resulting from one accident shall not exceed the maximum medical indemnity, $10,000. The insurance under this policy shall not apply: to the cost of medical or surgical treatment or nursing service rendered by any person employed or retained by the policy holder to any loss by (1) abdominal hernia, however caused; (2) bacterial infections (except pyrogenic infections that occur with and through an accidental cut or wound); (3) any form of disease; (4) war or any act of war, whether declared or not; (5) intentionally self-inflicted injury or suicide; (6) injuries covered under any worker's compensation act or similar law. A Special Olympics incident report must be on file with the insurance company in order for a claim to be processed. If medical treatment is necessary, please notify the appropriate area director as soon as possible. File all claims with the primary insurance carrier, the injured party's regular insurance. During area, regional and chapter events, the medical information for each athlete will be available at the site of competition. This information, attached to all entry forms, will facilitate the process of completing the incident report and will assist emergency personnel in providing the proper treatment. It is the coach's responsibility to obtain this information from the event or meet director in case of an emergency. We also welcome CDs of high-resolution (300 dpi) images of your "best of" shots from Summer Games. By signing the Athlete Enrollment/Medical Release Form, every athlete granted permission to have his/her likeness videoed or photographed. Additionally, athletes can be quoted and are encouraged to talk to members of the media (with coach, staff or parental supervision).